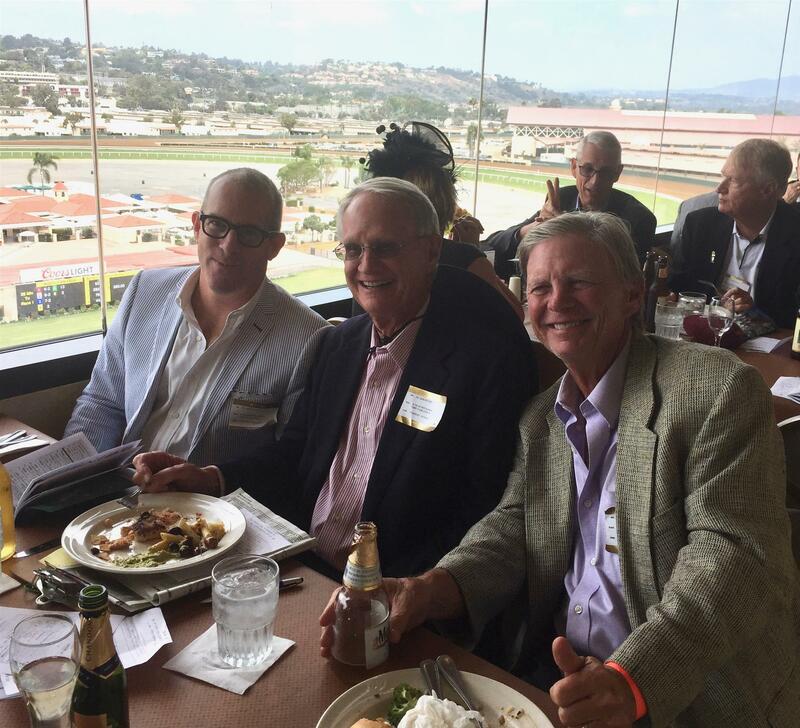 Another beautiful day at the Del Mar Race Track for our annual Day at the Races. 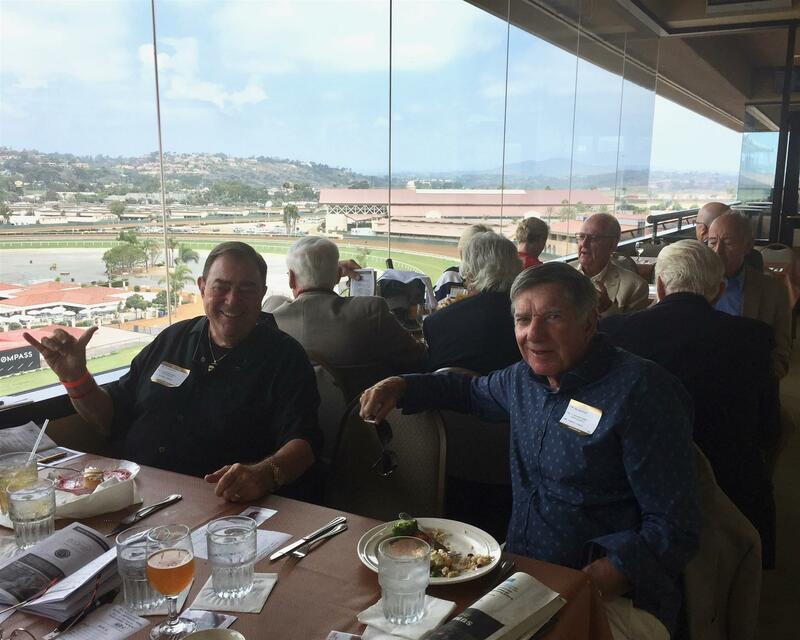 We gathered at Il Palio restaurant on the 6th floor of the grandstand to enjoy a lunch buffet and the window-side tables that have panoramic views of the track. 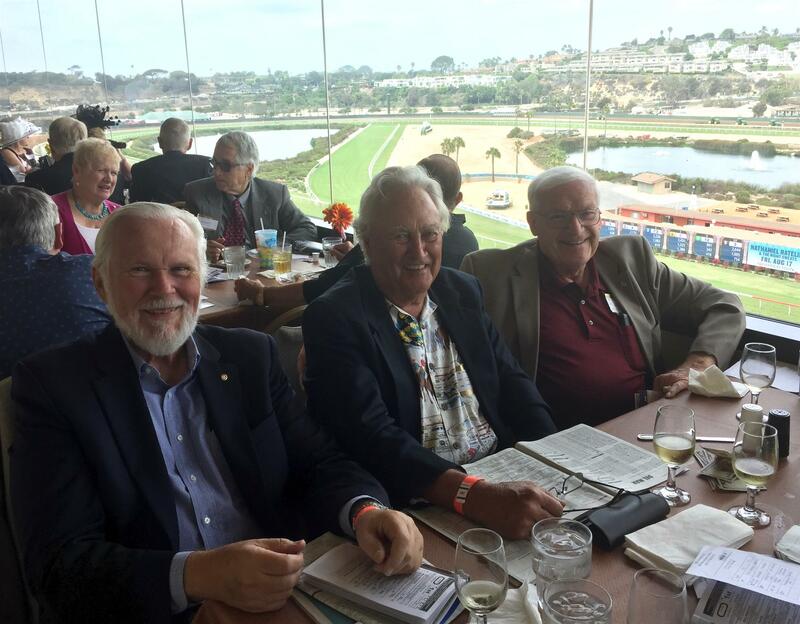 Instead of the usual Sick Picks, we had only five races this year, but the picks didn’t fare all that much better with the smaller card. 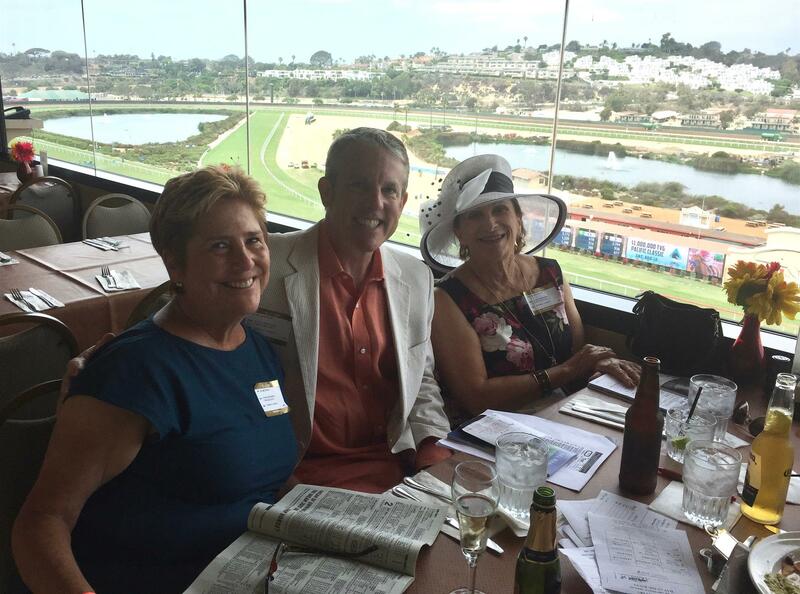 Larry Cook collected winnings as usual, but regardless of the take everyone had a wonderful time. 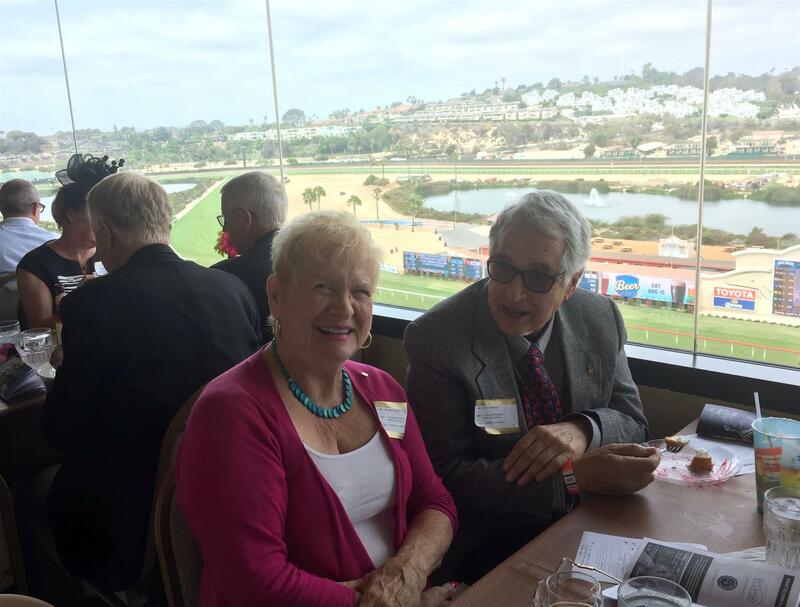 Don and Donna Fipps were in the winner’s circle to greet the winner of Race 2, the Del Mar Rotary Race. 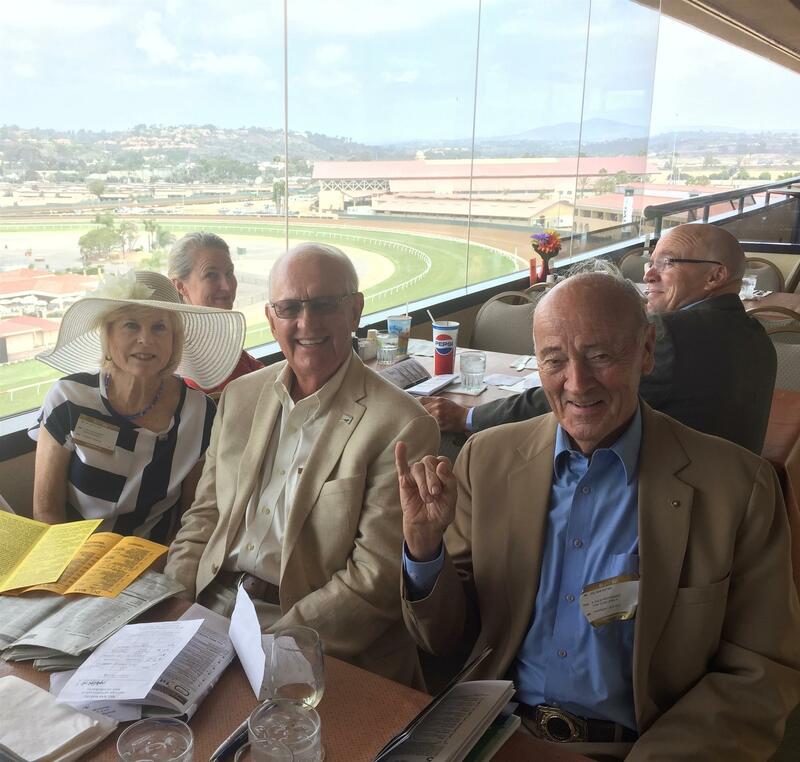 Fawree, ridden by jockey Flavien Prat ran the one mile in only 1:38 to win easily over Tidal Effect and Impression and pay out $19 for a $2 bet. 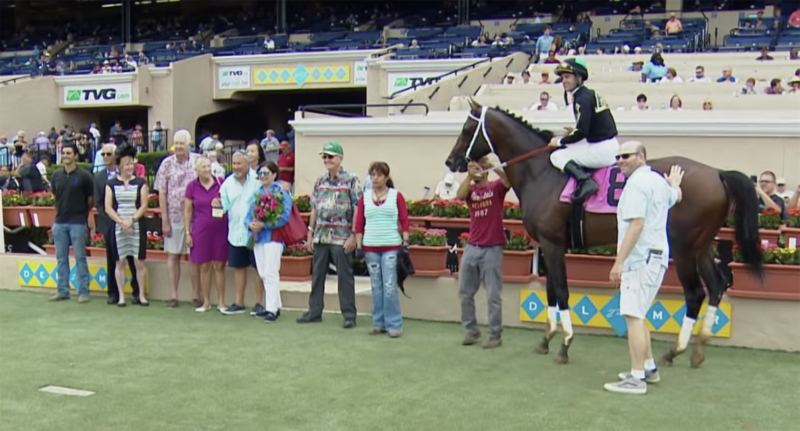 Click here to watch the complete race and the winner’s circle presentation. 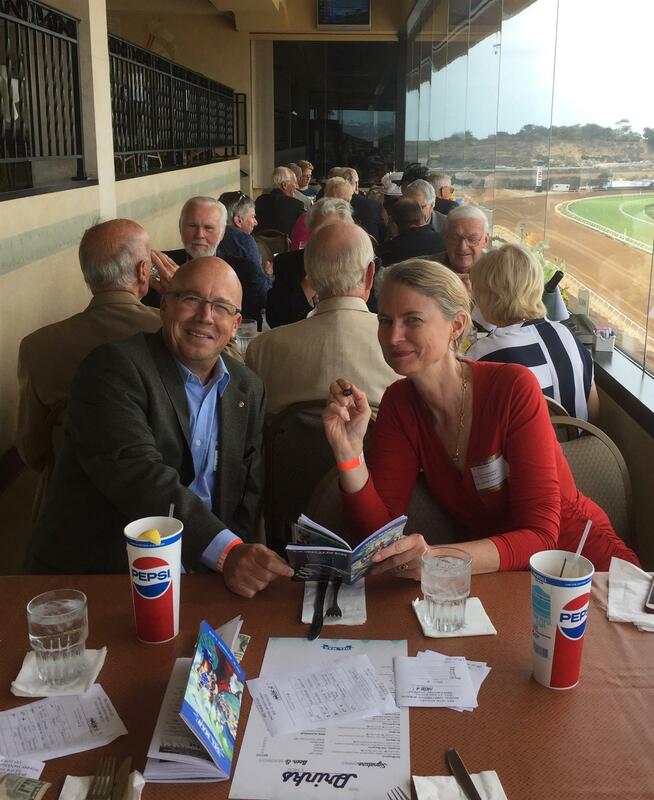 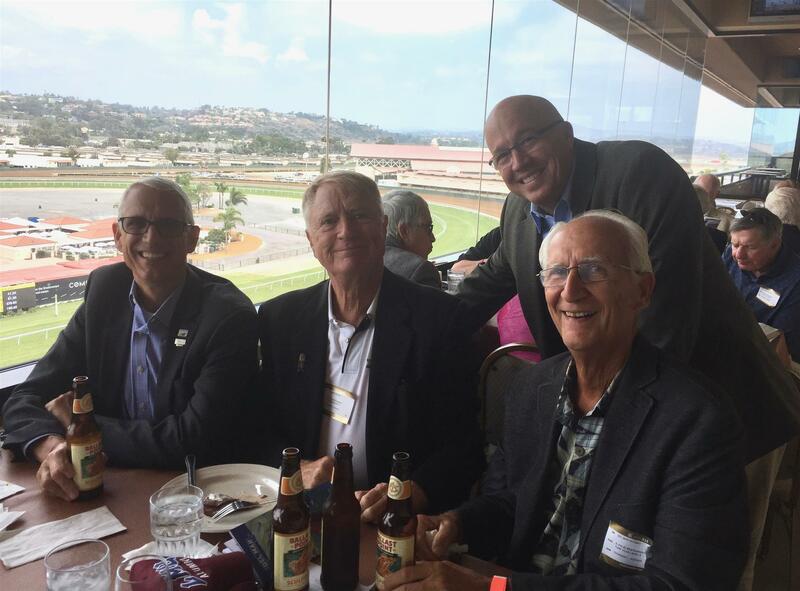 Thank you to honorary member and Del Mar Thoroughbred Club CEO Joe Harper for graciously hosting this event.